I love easy crafts. Seriously, I just don’t always have time for a craft that takes a really long time. I almost always have some kind of garland over my fireplace and some of them, like my Easter Carrot Garland look great, but take a long time. We had company coming over and my mantel was looking empty and garland-less so I decided to whip a garland up real quick. It took about 15 minutes start to finish. 1. On your Cricut Machine cut out your desired amount of stars. I cut out about 35 using 5 different patterns of paper. You could do this all with the same pattern or use multiple patterns. I used the star from the A Childs Year Cartridge. The star I cut out was 2 1/2 inches by 2 1/2 inches. 2. 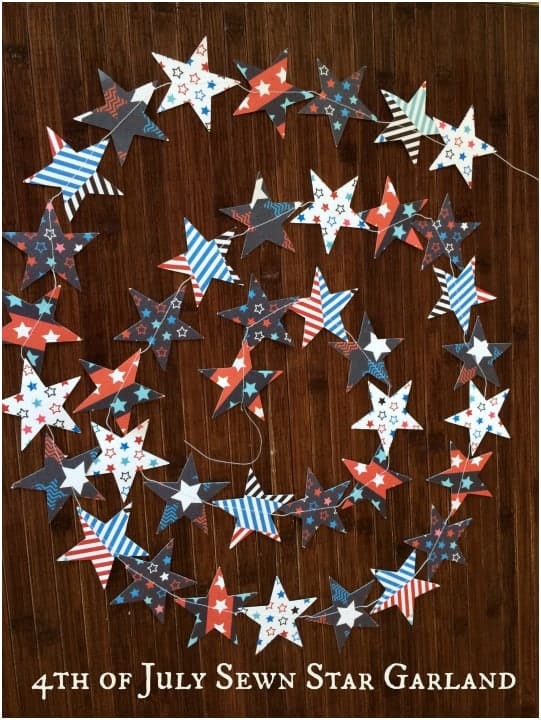 Make a pattern with your stars ahead of time so when you are at your sewing machine you can just grab the top star and go without having to think about putting it in a pattern. 3. 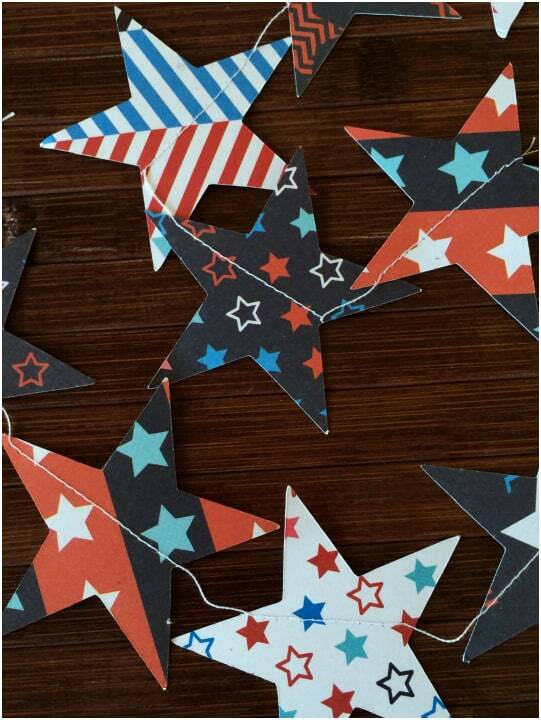 Choose a point on your star that you are always going to start at with sewing. I used where two points of the star meet down in a V and I would sew the same on every star. 4. Sew each star all the way across and as soon as you are finished feed in the next star. Note: Make sure you have extra thread on each side for the ease of hanging! 5. 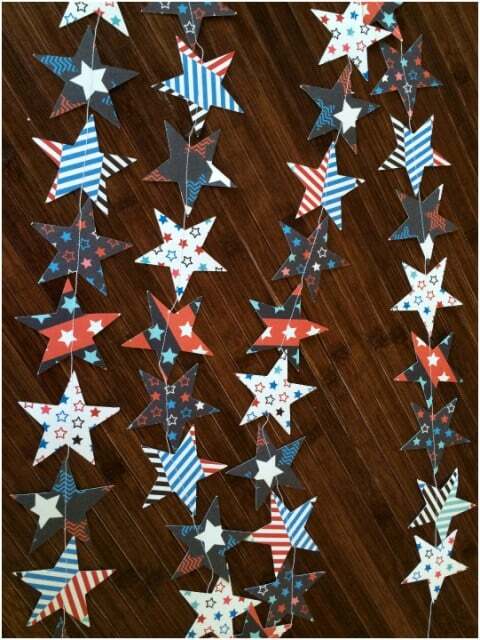 Enjoy your 4th of July Sewn Star Garland and Happy Decorating!